Sorry ladies, but I am just so elated that my least favorite among The Voice contenders had been eliminated from the show. 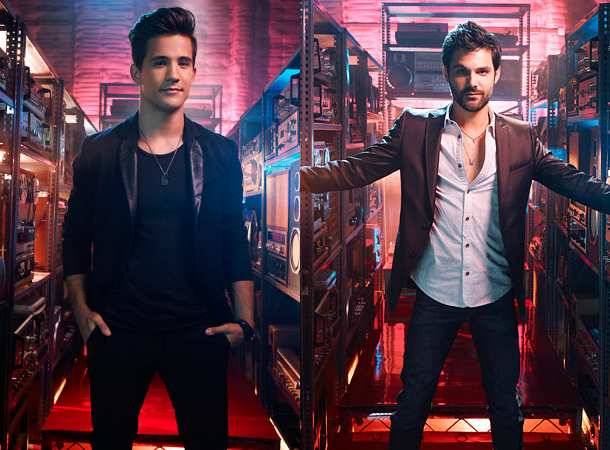 Yes, Dez Duron was out of the prestigious singing competition, leaving Team Xtina with no, as in nil, artist for the next round until the grand finals. I am not really against Team Xtina. In fact one of my two most favorite artists from the show was Sylvia Yacoub and it's not my fault really that she got eliminated... I bet you regretted that, don't you? That was really a surprise that no contenders were left for Team Xtina, when all the while I predicted that the winner might come from her team. That just puts the case to rest that I am not really good at fortune-telling or predictions. On the other hand, the lively and total performer Cody Belew said his goodbye also, leaving the once strongest Team Cee Lo with two artists, tying with Teams Blake and Adam. Honestly, I didn't really believe that Dez would win this competition. He may have a lot of female haul, but in the end it's the voice, not the looks, that would matter. I am not saying that he has no talent, but there are other artists who're much better than he is. I mean, I wouldn't even dare listen to his not-so-powerful voice if its the last thing I'm gonna do. His clipped sounding and metallic techno voice do not really appeal to me. That is why I was really celebrating to see him go. I couldn't really say better luck next time, because this is after all his next time and second chance. So long, dude. Cody's total performance didn't really work this time. The voters didn't buy his rendition of one of the well-loved classic songs ever written. If he had stayed longer for the show, then I would have believed that Team Cee Lo would have a chance to win the competition. Cee Lo had 3 artists under his hood by then, leading against the other coaches. And after the elimination they are all fair and square, except with the case of Christina Aguilera. The Muppets performance on the Top 8 Elimination Night gave me a feeling that I'd certainly be happy with the result. And so I did. So let's enjoy this song again, while I am grinning for Dez Duron's farewell. Isn't it fun? With this recent elimination, the Top 6 of The Voice Season 3 have been revealed. It just made me happier especially that Melanie Martinez from Team Adam belonged to the Top 6, together with her team mate Amanda Brown; Cassadee Pope and Terry McDermott, both from Team Blake; and Team Cee Lo's pride, Trevin Hunte and Nicholas David. They will move on to the Quarterly Finals, which will be aired on December 3, 2012, to be followed by the elimination night a day after. Watch The Voice only on NBC at 8 PM Eastern Time.